By providing convenient tools for searching for hotels, you can earn on every booking. To do this, you must work with special partner networks. Several major players are on the market — Travelpayouts, Booking.com, Hotels.com, Hotelscombined, Agoda and TripAdvisor. By comparing each offer in terms of its conditions of cooperation, available tools and rate of conversions, it is possible to choose the best hotel affiliate program for each webmaster. Here we will share some hotel affiliate program reviews with you. “Travelpayouts” is a CPA (Cost Per Action) affiliate program composed of several vital components including widely known brand names such as Jetradar.com and Hotellook.com. Hotellook is an engine which lets users compare hotel prices from among different websites to find the best solutions. About 40 languages are available. 59 languages are available. How much money can be made with “Travelpayouts”? The affiliates of “Travelpayouts” are all assigned a specific share of 50% to 70% derived from the income generated by the company. The actual numbers regarding the amount of gains depend on the prices and the agency from which users make their purchases. In general, “Travelpayouts” gets about 7% from each price. Afterwards, 50% to 70% is shared with its co-partners. Let’s consider a scenario in which a customer pays $300 for a hotel booking. $26 is then transferred to “Travelpayouts,” from which $13 or $18 is shared with the ‘bedmate’. The moment you become affiliated, you will be able to access all the necessary details in your member area, along with statistics. You will also be able to view your personal payments history. Who are the most successful participants? Everyone who is willing to begin making money can become an associate of this platform. However, spam is strictly prohibited. You won’t waste time on the registration process because you won’t have to wait for verification and approval. Once you get onto the platform, you can start making profits. Social media advertisers who post information about “Travelpayouts” on travel-related groups will also be paid for their efforts; etc. The first tool is the search form, which allows clients to search for accommodations by destination. It basically redirects from a partner’s web page to Hotellook, where it displays the available variants. White Label helps integrate all the necessary data into your website’s domain, making it unnecessary to redirect users. Partners have full access to data by API. For mobile application developers, Travel SDK is available. All relevant payments are made between the 11th and 20th of each month. In exceptional cases, early payment on an individual request is possible. In the travel market, the number of languages you offer and the number of countries you serve are important. This doesn’t mean you must use all 50+ languages at the same time, but when choosing a hotel affiliate program to join, you should consider the number of languages you can serve with that affiliate network. At a minimum, there should be one language that is appropriate for your project. Travelpayouts gives you an opportunity to work in 59 languages, covering more than 100 countries. The network also includes tools for RTL such as Arabic or Hebrew. The number and diversity of languages, along with a high revenue share, full set of tools and White label, make Travelpayouts one of the best hotel affiliate programs. Travelpayouts is a travel affiliate network which includes many travel-related services such as flights, hotels, transfers etc. It works by the CPA model, in which you are paid for achieved bookings. Services are available in 59 languages, which means you can provide them in more than 100 countries. Hotellook.com, one of the products of Travelpayouts, enables you to earn up to 70% of the revenue on hotel bookings. Travelpayouts gets 7% of the booking price as revenue. For example, out of a $300 booking cost, the affiliate network will receive $26 as revenue and you will get up to $18 as your commission. Travelpayouts also provides 30-day cookies, what means that if your visitor decides to book not today but in 30 days, you will be able to earn on this purchase. Ad tools play a significant role in increasing your earnings. Learn some tips from our article about how to better integrate the tools to increase your earnings. A wide range of promotion tools, including White Label, is one of the advantages of the affiliate network. As for payment, three different methods (bank transfers, PayPal and ePayments) give you flexibility in transactions. Here, the advantage is the small minimum payouts of $50 or €40. Because of this, you don’t have to wait for payment until you earn very high amounts. Easy and fast registration with the affiliate allows you to start earning more money as quickly as possible. There are no requirements to join the affiliate program; everyone is welcome. Booking.com is a leader in hotel bookings and one of the best hotel affiliate programs. We are proud that Booking.com is available in our affiliate network. You can choose how to work with it – via Travelpayouts affiliate network or directly with Booking.com. That means you will get 4% for every booking done via your affiliate link or widget made within one day after transferring to the Booking.com official website. Commission: 4% that is not dependent on sales volume. Tools: Only in Travelpayouts will you get a unique hotel search widget. We created it ourselves and it is only available in the Booking.com affiliate program in Travelpayouts. Booking.com allows people to compare room reservation options in their destination city for the date of their choice. The price range is set by the client. In addition, direct cooperation with hotels implies that commissions are charged. In general, the Booking.com affiliate program is a formidable shareholder on the market, one which rivals must take into account. Following is a booking.com affiliate program review; you can also share your opinion in the comments. Commissions are calculated according to a commission split model which is individualized to each partner. All your earnings are proportionately linked to the amount of successful bookings made via your website. Moreover, it is also dependent on whether the hosts of the rooms or properties confirm the guest stays. The more bookings made, the higher your commission. Does Booking.com welcome anyone who wants to become associated with it? Due to the prestige of this online platform, several rules and restrictions exist. These are disclosed only to those people who have decided to accept the offer. Still, any person who is interested in offering the best selection of accommodations is welcome and can be a participant, e.g., a website owner with qualified content, an app developer, etc. What are the offered tools? Tool number one is the Search Box, which allows customers to check out hotel offers and makes it possible to draw parallels between prices. The Co-Brand tool enables Booking.com associates to place logos below the standard blue header. Thus, every user who makes a purchase will see that you are a “bedmate” of a trusted international brand. Furthermore, the partner’s logo will guide customers to the end, ensuring that they do not leave the particular affiliate’s area. Another tool developed and offered by the company is the Deals Finder. Basically, this streams deals in any destination covered at Booking.com. The Inspiring Search Box is a very smart business move aimed at increasing the number of orders placed on the site. It inspires the next choice of destination by displaying three images advertising the best places to visit. The last two tools we cannot omit are the Links tool, which consists of hyperlinks to Booking.com’s pages and connects the latter to users’ Internet platforms, and Banners that grab customers’ attention. How do affiliates get their money? Payments are made via either bank transfers or PayPal. The time frame for the reception of profits is estimated to be between 30 and 60 days after the property owners confirm that the guests have completed their stay. The minimum amount for the transfer to be completed is €100. If you have earned less than that, your earnings will accumulate for the next month’s payment. Though booking.com has a very competitive structure and strict rules, it enables you to work in 43 languages throughout the world. This is less than Travelpayouts, but is still a competitive amount. Booking.com is one of the best-known brands in the world, with a huge database of hotels in 43 languages. Your earnings are calculated according to a commission split model that is particular to each partner. Moreover, each partner must make 50 successful bookings before they can start to earn. Revenue share proportions are 25% for the first 50 checkouts, 30% for 51-150, 35% for 151-500 and 40% for 501 and more. This means the more reservations you generate, the more revenue share you get. The earnings are competitively structured. In terms of payment, you must earn at least $100 before you can get paid. You can choose bank transfer or PayPal. However, the duration for payment is between 30 and 60 days. Therefore, you may need to wait two months to get your earnings. Tools such as a search box, banners and deal finder are available in the affiliate network. Unfortunately, it does not have White Label for those who want to develop their own brand. Only one option is available to add your brand: Put your logo next to the official one as a partner’s. There are many strict rules and limitations you must obey, but any person is welcome to join the partner program. Hotels.com is another successful company worth mentioning. It is part of the Expedia affiliate network, which includes several other well-known brands. Every partner can make money from traffic once a booking is made by one of their customers. Partners can’t work directly; they are always connected through intermediaries. This complicates communication. If you are from Canada or the U.S., you must go to cj.com before being allowed to resolve your issues. How can a decent amount of money be earned? Earnings are fully dependant on the terms of your partner agreement. Generally, Expedia network members are ready to pay up to 50% of their profits to their associates. The amount tends to be around 4.92% from one booking. However, discount coupons let users obtain benefits by lowering your commissions. Therefore, the final percentage can’t be predicted. Hotels.com sorts its collaborators into corresponding departments based on geographical location. This results in slightly different percentages for different regions. If you have the Payoneer card (and here we are referring to the U.S. market), this service can be a relatively comfortable way of earning money. If you don’t, your commissions will be transferred to your bank account or you will receive cheques, which is not very convenient. Moreover, even if the client carries on without booking anything, he will see personal advertisements via AdSense on the online resources he visits. The outcome is that while you may bring in a client, you won’t get paid for it. Last but not least is the fact that associates also lose clients after installing the application offered by Expedia. They offer a 2% discount to make people get their app. However, any client who books via this app will not be counted as part of your commission, since you do not get paid for the app. No explicit restrictions are outlined on the website. Therefore, the general assumption is that everyone is free to participate in the promotion and advertisement of products. What tools are at collaborators’ disposal? Five tools are available to the associates, starting with the so-called “Rich APIs”. Every single API can be personalised in accordance with your needs and wants. It is available in 35 languages and more than 30 currencies. Furthermore, partners can use 12 proficiencies that show only those properties that best suit your clients. Technical advancements are another very important benefit. Having accumulated extensive experience, EAN keeps improving the technological side of the APIs. For instance, partners can use Cloud Infrastructure, thereby accessing the best international data centres. There are more than 6.5 million property images in more than 380,000 geographical locations. The second tool is the so-called “Template Solution”. B2C has collaborated with EAN to develop this particular instrument, making it easy to integrate and reliable in terms of suitable property images that are displayed at the right time. This tool can be applied in two ways: either select the “fully white-labelled template solution”, meaning that your customers will see only your logo, or choose the “co-branded template solution”, which will display both. Moving forward, it is also necessary to point out that Hotels.com possesses several tools that help organise the work of agencies involved in the hotel booking affiliate program. 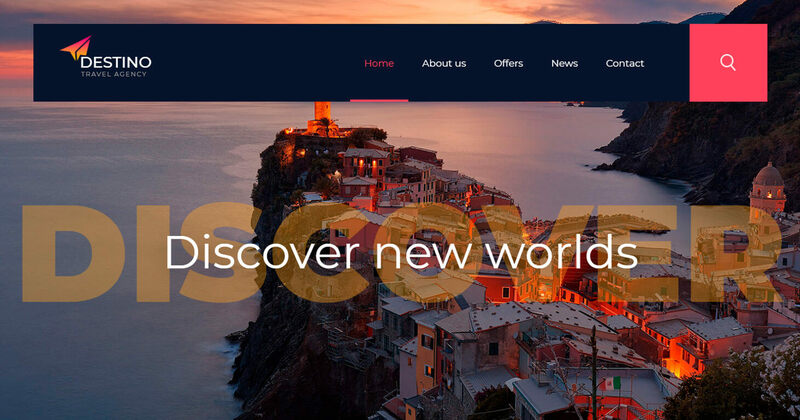 The last solution, powered directly by Hotels.com, is called “Click & Earn”. Companions make money in the form of commissions paid for each successful booking made via their Internet resources, using the link posted on the partners’ webpages. One more important note is about the very essence of Expedia’s powered programs. These programs are not joined together in one common network even though they belong to the EAN. Trivago is also a member of the EAN family. But now you can not join their Affiliate Suite, as they shutdown own affiliate program on 31 March 2018. Learn more about it on this page. How do partners get paid? Affiliates receive their commissions for successful bookings carried out by customers. The common percentage is 4.92%. The exact percent and payment method depend on the country where are you working. The services are offered in more than 35 languages in many countries. Hotels.com is a well-known brand around the world, which allows partners to work in many countries. The drawback is that it is always necessary to find a local middleman. For example, you can work in the United States through CJ.com, but in Russia you must move to Tradedoubler, and so on. Ultimately, you could have multiple accounts simply because you could not use one middleman for all locales. Hotels.com is a product of the Expedia Partner Program. It is a good company for hotel bookings in 35 languages. However, there is no direct partnership; you must work via a middleman – for example, cj.com in the USA. The program shares 50% of the revenue, which is, on average, 4.9% of the booking price. One of the disadvantages is that different percentages are set for different countries, which makes your commission unclear. Moreover, if your customer uses a coupon for discounts, your earnings will decrease. A Payoneer card can be used for transactions but if you don’t have it, you can get your commission through bank transfer or cheques. The program offers five tools for promotions, but offers no White Label. Anyone is welcomed as a partner, but the unclear system of middlemen doesn’t make for convenient work. Hotelscombined.com gets paid for clicks, called “leads”. Therefore, associates get paid regardless of the reservations. The name of the method is pay per lead, defined as “a click off to one of the hotel booking supplier websites” compared on HotelsCombined. These measures significantly improve the prospects of monetising traffic. What’s more, the co-partners’ gains are guaranteed by the provider of the program, which compares a multitude of prices. Additionally, the developers have ensured that everyone can access the application, as it is available in more than 40 languages. Co-partners can either monetise mobile traffic or create a mobile app that will help make profits. As stated previously, affiliates get paid for leads their customers make when they visit their online platforms. Basically, you get paid for sending interested users to hotelscombined.com, where they can compare prices for the destinations they would like to visit. The amount of commission you receive depends on the quality of the traffic as well as the rate at which the leads turn into bookings. These two factors determine the commission per lead you receive. The general commission rate is estimated to fluctuate between 50 cents and two dollars. Obviously, the commission will decrease in cases in which the partner is unable to generate enough sales. The life of a cookie is 365 days, which means that those clients who used your website once to click on the HotelsCombined advertisement will be included in your commission as long as the cookie exists. In addition, “Monetisation Guarantee” is a service worth mentioning. Potential collaborators can include it in their agreement to ensure future gains. This is done on an individual basis. This guarantee allows you to get your money in case it does not reach the agreed-upon minimum amount. It is available only to those webmasters who have spent some time earning commissions with competitors of HotelsCombined. Anyone is free to join the hotelscombined.com affiliate program and start making money. However, an issue arises when it comes to whether or not one runs a website. In the first case, everyone has the opportunity to join, even if the Internet resource’s content is not voyage-related. The main tools are Text Links, Deep Links, Banners, and Search Boxes. If you ask for Data Feeds, they will also be provided. These can all be reinforced with two more tools. The first one is Co-Branding, which implies the use of two brand names: yours and the HotelsCombined one. The second is Private Branding or white-labelling, meaning that only your brand will be displayed. The disadvantage is that you must earn the minimum amount to get paid. Moreover, transactions and money transfers are carried out only in dollars (no other currencies), which can be undesirable when it comes to exchange rate fluctuations and overall monetary market instability. Thus, you can lose money if you need to convert it to another currency whenever a change occurs. Also, your account will be reviewed as you reach the minimum payout, and there is a chance that it could be locked if Hotelscombined defines your traffic as low quality, in which case you’ll never get your commission. The Hotelscombined affiliate program is available in more than 40 languages in many countries around the world. It offers 365-day cookies, though partners must reach a very high amount for minimum payouts. Hotelscombined.com is an affiliate program that works on a pay-per-click model. It provides services in more than 40 languages across the world. In 2018, the network started providing a CPA model to some webmasters, but CPC is still the more common model. The amount you can earn depends on how much traffic you attract, and its quality. The commission for each click ranges between 50 cents and two dollars depending on your conversion rate and traffic. Usually, at the very beginning, your earnings could be higher than they would be with other networks, but after a while the rates could drop quite a bit. The cookies have a long lifetime of 365 days, which means you won’t miss out on earnings for that year. This is one of the longest-lived cookies on the market. Tools like simple links or deep links, banners and search boxes are available in your personal account. There are not many options in terms of customization. There are only two options to be paid: via bank transfer or PayPal. One of the other drawbacks is that, regardless of where you live, you are paid in dollars, so you will lose money on the exchange rates. Also, the minimum required payouts are very high: $500 for bank transfers and $100 for PayPal. For small projects, the amount may be unreachable for several months. Agoda possesses an immense property owners’ database which includes more than 925,000 hotels and private individuals. Partners can attract customers using a wide choice and good prices. Many Agoda.com affiliate program reviews say that comprehensive support is lent to Agoda’s partners, which is reflected in the opportunities for personalisation. The website is available in 38 languages. Travelpayouts offers clear conditions and a set of available tools. You will get 6% of the total booking value (without taxes) when the client checks out. You can use banners, links and widgets on your travel blog or other project. Travelpayouts offers you lower payout limits – just $50 and different ways of payout methods, all of them are detailed in our knowledge base. Join Agoda affiliate program via the Travelpayouts affiliate network. The commission you earn on the official Agoda website depends on the number of stays your customers complete. You will not get paid for no-show guests. Furthermore, as stated by Agoda’s officials, the model is progressive and allows you to increase your share up to 60%. The formula by which the commission is calculated will be discussed later. A compulsory condition for participation with Agoda is to be the owner of an online resource. Agoda admits both small websites and big ones that belong to large businesses. Nevertheless, there is a chance to become an affiliate even if you do not own a website. In this case, you must be a travel agent, and additional documentation will be requested. In any case, redirecting to the URL is absolutely forbidden. Agoda provides several tools, including Hotel Power Ads, text links, and other useful services for partners. Customizable search boxes and multi-lingual data feeds are also available to affiliates. Furthermore, if you obtain permission from Agoda to modify any of its tools, you can do so to optimise your money-making abilities. How do partners get paid on the official Agoda website? We can rely solely on the average number of 3%, given the initial ACP of 35% and 7% in case of an ACP of 60%. Regarding the payment method, there is only one — direct bank transfer. Affiliates get paid one month after guests have completed their stays. For example, if a guest stayed until 5 April, you will be paid in May. In addition, the minimum amount that can be paid is $200, while $10 will be charged to cover the bank transaction expenditures. Agoda.com has a huge database of hotels in many countries and is available in 38 languages. Affiliates can use the worldwide database, but the tools are limited. You may choose how to join Agoda – at the home affiliate program on the official Agoda webpage or trough Travelpayouts. We are official partners offering you the reliable solution to earn on hotels bookings. Agoda.com has an immense database of 925,000 of hotels and private properties in 38 languages. You can offer your visitors a variety of choices and prices. Commissions are given only for checkouts. Therefore, if your visitor books but doesn’t end up staying at the property, you will not be paid for that booking. However, you can increase your commissions up to 60% over time. As an illustration, 35% for 1-49 successful checkouts, 37.5% for 50-99 checkouts, 40% for 100-199 checkouts, 50% for 200-999 checkouts and 69% for 1000 and more checkouts. One of the disadvantages is that payment is made only via bank. The minimum amount is $200. Payments are made one month following checkout. Agoda.com provides a small number of promotional tools, like hotel power ads, text links and search boxes. Also, it allows you to personalise promo tools for your website, but it doesn’t have extensive personalization options. Moreover, you must have a website or travel agency to join. You can’t use a link just to share with your friends. A subscription to this partnership program enables you to become part of the largest travel community in the globe, enhancing the performance of your trip-related platforms. Moreover, the database comprises more than 500,000 cities and hotels. However, the drawback of TripAdvisor’s program is that it is possible to become a companion only through CJ (Commission Junction), meaning that there is no direct connection with the provider of the program. Commissions constitute 50% of TripAdvisor’s income and are paid only for confirmed stays. The public calculation formula, which Agoda has, does not exist. You can get about 4% of the room cost. Everyone is free to participate. However, you can be rejected. If this happens, you can try to find out why by emailing tripadvisor@cj.com. The general requirements have not been made public so far. In terms of functionality and performance, there are no major differences from similar offers by other companies. The average percentage that is likely to be paid is about 4% of the room price. The average gains from a click-out are stated to be between 15 cents and 75 cents. TripAdvisor states that many of its partners have a conversion rate of 75%, which is one of the best on the market. All payments are carried out via the co-partner CJ Affiliate. All commissions are added together and if the minimum amount is exceeded, CJ will send a paycheque in the currency of your choice. It is very easy for Payoneer card owners. In other cases, either a direct transaction to a bank account is performed or a cheque is sent. The latter is possible in only a limited number of countries. TripAdvisor is one of the largest platforms for hotels, with an enormous database in more than 500,000 cities. More than 40 languages are available, such as English, German, French, Russian and so on. One of the largest travel-related websites, Tripadvisor has a huge database in more than 40 languages. However, the Tripadvisor affiliate network is not very developed. To join, you must work through a middleman, CJ.com. As for the commission, up to 50% of the revenue is given for a confirmed stay. This means that the highest commission you will get is 4% of the room price. However, payments are made through the intermediary. The payouts can be sent as a paycheque or a direct transfer to your bank account in the currency of your choice. As we mentioned before, promotional tools have a significant impact on your earnings. Unfortunately, even though it is a well-known brand, TripAdvisor offers only three tools for its partners: text links, banners and content widgets. For those who want to build their own brand, we have bad news – White Label is not available in the network. Everyone wants to find the highest-paying hotel affiliate program. The idea is to compare the general conditions and find the best one. This may difficult at first, as your profits may depend on many factors. It is impossible to look at the rates and say, “This or that offer is the most profitable.” For example, Hotellook, which is available in Travelpayouts, offers a lower rate than some affiliate networks. However, Hotellook can win in the conversion. In the end, it is important to focus on what creates more profit in reality compared to what seems “more profitable” in appearance only. Conversion rate (CR) is an indicator that displays the percentage of clicks converted to bookings. For example, if 27 bookings are made out of 1000 clicks, CR = 2.7%. In different networks, CR can be higher or lower. To find the highest-paying hotel affiliate network, consider not only how much you will get from the booking, but also how successfully those bookings are made. Getting 4.7% from 100 bookings is better than getting 5.5% from 70 bookings. On the other hand, you can simply look at how much you earn per 1000 clicks, which is known as CPM. With this method, you can even compare different commission models – paying by clicks in SERP and paying for bookings (CPA). Evaluate the number of available tools and provided languages, and imagine how you can use them. Sometimes it’s not a question of money but of available technologies. For example, if you need a hotel affiliate White Label for your website, you can immediately eliminate some offers because not all hotel affiliate networks provide API or WL. The better service or product is the one that is easier to sell. For example, the Hotels.com and Agoda.com affiliate programs are related to services that allow people to simply book a hotel. Hotellook is a platform for finding the best hotel offers among a huge number of sources. This is definitely what your visitors want – to find the best hotel at the best price. Use Travelpayouts to give your audience the best service and to achieve the most profitable option. This option suits those webmasters who dedicate themselves to a specific area of interest. In terms of customisation, such scenarios tend to be much less flexible than the previously mentioned affiliate programs. It can also be argued that their revenue indicators are dubious, as there is no possibility of determining an average income. Direct cooperation can be regarded as a special case because it does not offer any opportunities to select a partner website. The hotel affiliate program market maintains a wide range of offers. Partners of Travelpayouts have access to a large selection of tools and to a detailed knowledge base, enabling them to earn high commissions and receive fast support. Working with a network is beneficial because of the high conversion. This is achieved through a quality product for finding hotels, as well as a variety of flexible and configurable forms. To identify the best solution, you must try different options. You can start right now with Travelpayouts. Travelpayouts affiliate program is now even more mobile friendly. 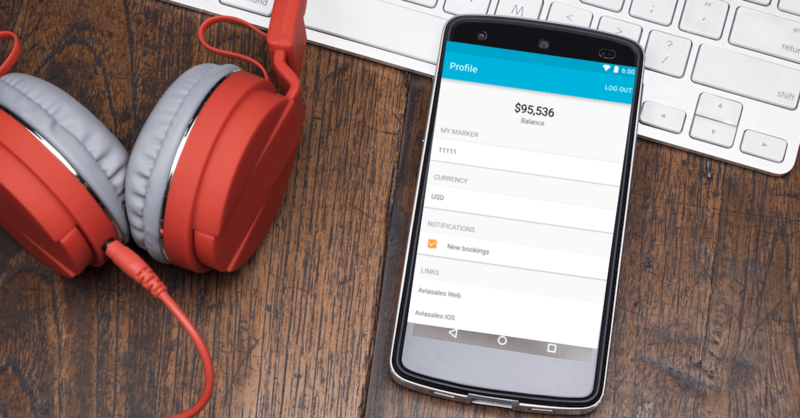 In addition to the mobile version of the personal account and iOS app, we are glad to introduce Android app. You can download free hotel and flight travel landing pages and use them in your work. If you don’t have a domain or hosting, you can use our landing pages on our domains—simply send your traffic there with your affiliate link and earn on every ticket sold and every hotel booked. 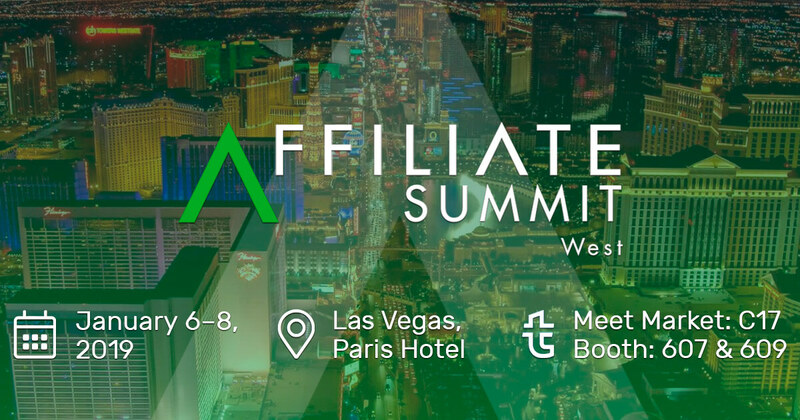 In recent years, we have attended Affiliate Summit West, and 2019 will be no exception. Our team is already preparing for the summit Jan. 6-9, 2019! If you want to participate too, request your free affiliate pass before Dec. 11 on the official website.